A former medical examiner, in notes left in the case file of a 6-month-old, said Middlesex District Attorney Marian Ryan bullied him. Initially, forensic pathologist Peter Cummings ruled that the 2010 death of the baby, Nathan Wilson, was a homicide, the result of abusive head trauma, or shaken baby syndrome. His father, Geoffrey Wilson, was charged by Ryan’s office with the baby’s murder. In supplemental case notes, handwritten by Cummings and placed in the baby’s closed case file the day before the murder charges were dropped, Cummings said that the DA and her staff had not wanted him to change his finding. He called the way they dealt with his office on the case “unethical and unprofessional.” He accused them of “M.E. shopping” in the hopes of getting a different opinion. “I told them I felt bullied and at times as though I was being forced to sign the case out in a way I did not think was honest,” Cummings wrote in the case notes, obtained by the Globe. A former MIT employee was accused of killing his 6-month-old son, but charges were dropped after questions were raised about an expert’s testimony. 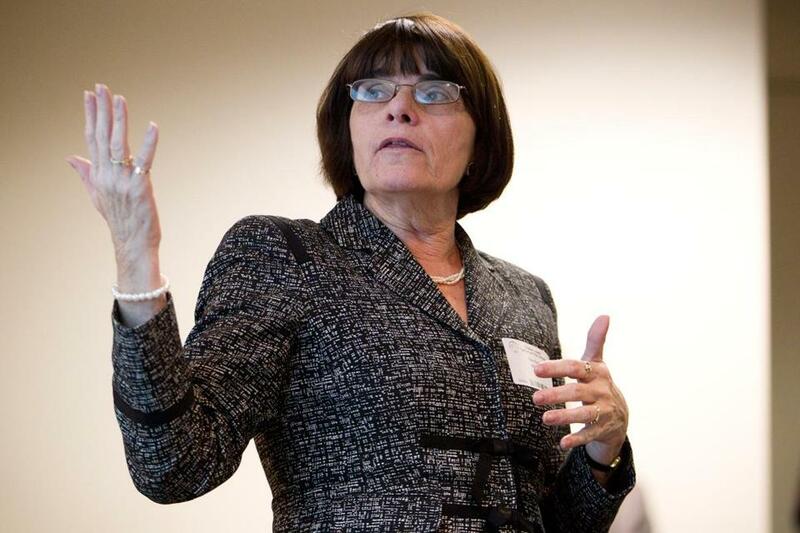 The district attorney rejects the claims and said she is “puzzled” by them, since her dealings with Cummings and his colleagues were respectful. In the Wilson case, Ryan said, her office was the only party speaking up for the child, since both parents were united in their denial that Geoffrey Wilson had hurt his baby. Ryan said she could not drop the case against him lightly. But Cummings’s notes suggest Ryan went beyond careful. The claim is that her office tried to pressure a medical expert to stick with his original conclusion even in the light of the new information. Ryan, who fought a heated primary election Sept. 9, dropped the murder charge against Geoffrey Wilson on Sept. 18. Cummings, who parted amicably with the Office of the Chief Medical Examiner in June, declined Monday to comment on the Wilson case. “I do not feel it is appropriate for me to comment publicly on issues involving my former employer or cases under the jurisdiction of the Medical Examiner’s Office,” he wrote in an e-mailed statement. The Wilsons declined to comment, but their attorney said they are troubled by the allegations contained in Cummings’s notes. Geoffrey Wilson spoke to J.W. 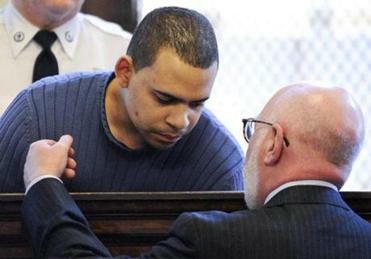 Carney Jr., his attorney, after his March 2010 arraignment in Malden District Court. District attorneys and medical examiners work together on homicides: Medical examiners use information gathered by the prosecution team to inform their conclusions on the cause and manner of death, but not to influence them. Ryan maintains neither she nor her prosecutors crossed that line. She said her office maintained a good, “very professional” relationship with the medical examiner. Two people with knowledge of dealings between the two offices disagreed, calling their relationship toxic. In a second, strikingly similar case involving a baby’s death, concerns about possible interference arose again. Attorneys for Aisling Brady McCarthy were sufficiently worried about Ryan trying to influence the medical examiner that they asked a judge to order the Middlesex district attorney and her office to refrain from contacting the examiner in the case of Rehma Sabir. McCarthy, Sabir’s nanny, was initially charged with murdering the 1-year-old in January 2013 after the medical examiner found that Sabir had died from abusive head trauma. McCarthy’s attorneys maintained their client’s innocence, citing the baby’s complicated medical history and findings that the baby had suffered bone injuries weeks earlier, when she was out of the country and away from McCarthy. The medical examiner’s office launched a review of the case in April. Melinda Thompson, one of McCarthy’s attorneys, said she was not confident the review would be truly independent unless the judge required the Middlesex DA to stay away from the medical examiner. The judge granted her request. On Aug. 31, the medical examiner revised Rehma Sabir’s cause of death to “undetermined,” like Nathan Wilson’s. The district attorney dropped the charges that same day.